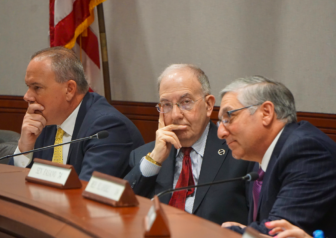 From left, House Speaker Joe Aresimowicz, Senate President Pro Tem Martin Looney and Senate GOP Leader Len Fasano. On a day when the New York Times and The New Yorker shared a Pulitzer Prize for public service for the reporting that forced a searing assessment of sexual harassment, the Connecticut General Assembly examined its own policies on sexual conduct, none of which prohibit romantic relationships between lawmakers and their employees. The informational hearing Monday by the Legislative Management Committee was a consequence of the reckoning following the reporting about the movie producer Harvey Weinstein, and the related stories of workplace harassment that have rippled through the worlds of entertainment, business and politics. “Just about four years ago we went through a review where the General Assembly updated its own internal rules and procedures, but we believe that now in the new national context and heightened awareness that it’s appropriate for us to do this again,” said Senate President Pro Tem Martin M. Looney, D-New Haven. The subject has touched Connecticut politics, forcing U.S. Rep. Elizabeth Esty, D-5th District, to recently end a campaign for re-election over her botched handling of a harassment complaint against her former chief of staff, Tony Baker, from a female staff member with whom Baker had been romantically involved. 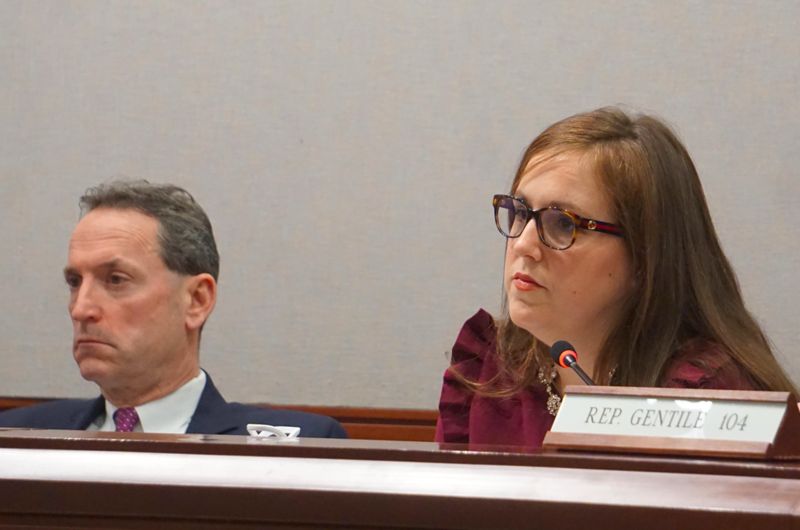 No congressional rules barred Baker from dating a subordinate, and Sen. Beth Bye, D-West Hartford, asked Monday how the legislature’s policies on sexual harassment deal with consensual relationships between supervisors and staff at the State Capitol. The office would reassign one of the employees to avoid someone directly supervising a romantic partner, he said. 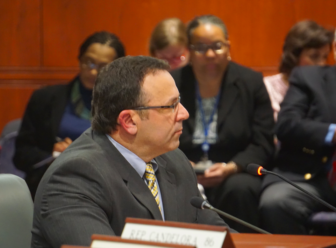 Tamburro was one three invited witnesses to a hearing geared to testing the strength of employment policies, not bringing forward new complaints. The others were Cheryl A. Sharp, the deputy director of the Commission on Human Rights and Opportunities, and Jonathan Griffin of the National Conference of State Legislatures. Formal complaints of harassment at the General Assembly are rare. Tamburro said he was aware of three, two about 15 years ago and one recently. The new complaint was made against a staffer, not a lawmaker, said Jim Tracy, the executive director of legislative management. 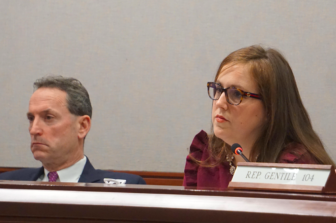 One of the questions raised Monday was the extent to which the absence of complaints at the General Assembly is a consequence of good behavior or the reluctance to make waves in the tight, interdependent circles of legislators, staff members and lobbyists. Several legislators said they assume the latter is true. Sen. Paul Doyle, D-Wethersfield, said he assumed the lack of complaints was due to concerns over job security and whether the complaint process was welcoming to employees who felt victimized. Legislative management is now conducting a survey of employees and others who make their living at the State Capitol about their experiences and their view of the legislature’s sexual harassment policy and complaint procedures. In 2014, the number of persons authorized to take complaints was broadened, and written complaints no longer were required to initiate an investigation. “We’re relying on people being courageous, realistically,” said Rep. Arthur O’Neill, R-Southbury. Sens. Paul Doyle and Mae Flexer. Sen. Mae Flexer, D-Killingly, who has been an intern, a staffer, a House member and a senator over the past 19 years, said the paucity of complaints does not mean there’s not harassment. “It’s not easy to do, but we can’t do anything about it unless we know about it,” Tamburro said. Sharp said the key to people coming forward is a culture in which they feel safe. Griffin told them their policy should have a clear definition of sexual harassment, offer examples of what behaviors are considered inappropriate in the workplace, provide a diversity of contacts to whom harassment can be reported and provide confidentiality to the greatest possible extent.